Homeopathy, the one word every individual come across when looking for an efficient and side effect free treatment of any health problem. The primary idea of it is, the body can heal any health issue by itself. Homeopathy cures any disease or disorder by bolstering the healing power of the body. This approach leaves no side effects when treating a patient. It was founded in the year 1796 by a German physician Samuel Hahnemann. It works on the principal, a substance that makes patients fall sick the same is given to the patient as a medication in minimal quantity to treat the condition. It has been 260 years now; countless patients got cured from their health problems with Homeopathy. Hahnemann, the founder of Homeopathy, was born 10th April 1775. So, ever year 10th April was greatly admired as “World Homeopathy Day” to honor this man for his invention. He was a physician and stopped his practice believing that the medical approach he was educated with and practicing he has been doing for years would harm patients than curing their problem. After quitting his profession as a physician, he conducted several experiments to invent a treatment than can treat health problems without any harm. In those years, he wrote many medical texts, which are still eminent in these modern days. “The Organon of the Medical Art” was his popular medical text, he wrote 6 editions and the last edition was published in the year 1842. Hahnemann is the Father of Homeopathy, and he was also considered as a Father of Pharmacology and Father of Nano Medicine. 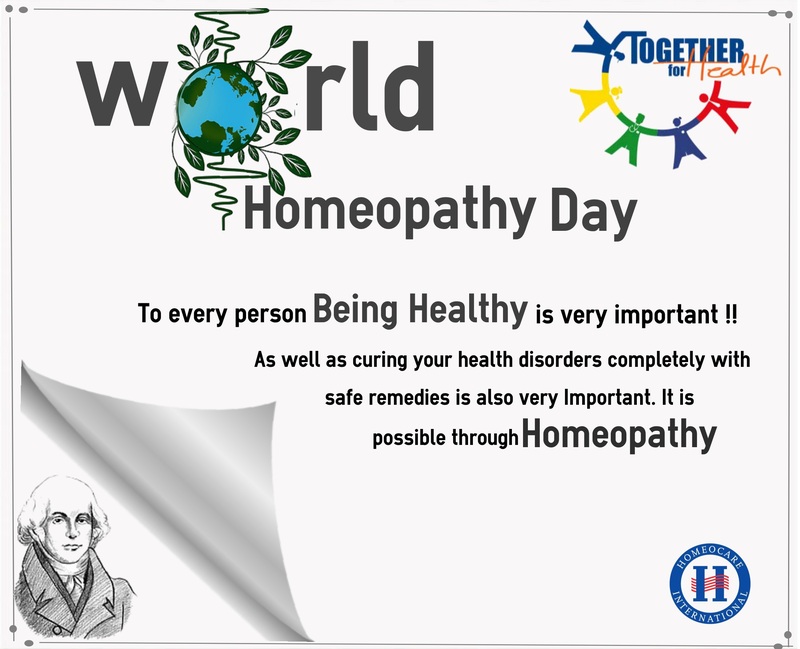 Because of his outstanding contribution to the medical field, we celebrated his birthday April 10th as “World Homeopathy Day”. Let’s join our hands to honor Dr. Samuel Hahnemann. Homeopathy, the second widely used medical system in the world, was invented by Dr. Samuel Hahnemann (former physician, who left his profession and dedicated himself to invent a result oriented treatment without any harm). In 1781, Hahnemann initiated his doctor career, a few years he abandoned his profession to invent homeopathy. While he was in his attempts to invent the second popular medical system, we made his living by translating medical texts. During his childhood, he learnt many languages – English, French, Italian, Greek, Latin, and Arabic. His knowledge of languages made a livelihood for him when he was experimenting to invent side effects free treatment for health issues. When he was a physician, he wasn’t satisfied with the medical approach that he & doctors like him follow to treat patients. This dissatisfaction led him to give up his doctor profession. When he was working as a translator William Cullen’s A Treatise on the Materia Medica, he found that cinchona has astringent, and that can treat Malaria effectively than any medication. Later, he researched about other astringent substances and cinchona. 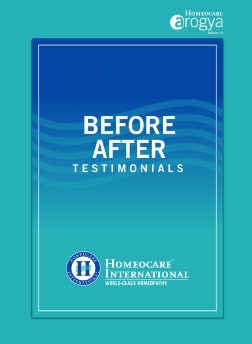 After a few years of research and several experiments, he finally discovered a medical approach for all health issues and named it as Homeopathy. It works on the principal “Like Cures Likes” and it has been more than 200 years, homeopathy treated sufferings of an uncountable number of patients across the world. It is extremely practiced in the countries like European countries New Zealand, India, and the U.S.A. Patients’ suffering will be cured by bolstering the self healing power. Medicines are prepared from animals, plants, natural substances and minerals; so, in all cases there aren’t any side effects. Dr. Samuel Hahnemann with a principle of “Like Cures Like” started preparing homeopathic medicines. When he was researching about cinchona (the bark of Peruvian tree) and other astringent substances, he found all astringent substances except cinchona cannot treat Malaria. He used cinchona on himself and noticed that cinchona induced Malaria symptoms in him. This experiment leads him to conclude that a drug like cinchona can induce certain symptoms in a healthy person and the same can be used to treat a patient suffering with the same symptoms. He named the medical approach as homeopathy,” homios” and “pathos” two different words derived from Greek. Both words collectively mean “similar suffering”. Any disorder or disease, the key factor of its cause is whether genetic or external, homeopathy can treat it better than any treatment without harming the body. There are several factors involved in causing a patient to suffer with a certain health issue. Whatever factor it is, homeopathy can make the patient feel better and cures the disease completely. For instance, skin disorder psoriasis can stop showing symptoms for a few days after when the patient is under treatment. Once, the treatment is done and after a few weeks, the symptoms revert. This won’t happen, if the condition is treated with homeopathy. Skin disorders, respiratory problems, diabetes, hormonal imbalance issues and all health problems are treated efficiently without any side effects. 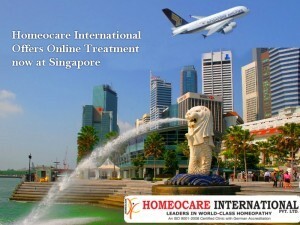 Self healing and immune system power will be boosted and patients can live a healthy & happy life.